Robin Chase: If We Want to Live In Cities, Will We Have To Share Cars? Zipcar co-founder Robin Chase makes the case for car-sharing as the solution to global gridlock. If We Want to Live In Cities, Will We Have To Share Cars? < If We Want to Live In Cities, Will We Have To Share Cars? So not too long ago, Robin Chase was at at transportation conference, and she was sitting on a panel with a bunch of experts in the field. RAZ: Head of a German car company. CHASE: The head of this European oil company. RAZ: And Robin who's founded several transportation companies of her own. CHASE: And this audience member asked, what is the future of cars? RAZ: Not a trivial question. CHASE: And one by one they were all, you know, saying that it was going to be a hybrid car, whether it was going to be a big car, a square car or whatever. And I was literally jumping out of my skin. And finally it was my turn. I said, no, the future of cars is shared cars. And to my huge pleasure, every single one of the other panelists turned and said, yes, she's absolutely right. The future of cars is shared cars. RAZ: Meaning at some point, many of us will stop owning cars. We'll just share them with a bunch of other people. CHASE: If we think the future's urban, there is just no way in hell it's going to be anything besides shared cars, period. RAZ: Now, there are all kinds of car-sharing services now where you rent by the hour, even by the minute. And Robin founded one of the best-known of those companies, Zipcar, which she talked about on the TED stage. CHASE: I pay only for what I need. All those hours when a car's sitting idle, I'm not paying for it. It means that I can choose a car exactly for that particular trip. I can take a BMW when I'm seeing clients. I can drive my Toyota Element when I want to go on that surfing trip. Not only do I have a fleet of cars available to me in cities around the world that I can have at my beck and call, but heaven forbid I would ever maintain or deal with the repair or have anything to do with it. I get all the good stuff and none of the bad. RAZ: So why do you think this going to be the future of driving? CHASE: You know, one of the really interesting things we discovered with Zipcar is how people change their driving habits relative to when they own a car. When you own a car in the United States, according to AAA, it's $9,000 a year. No one wants to believe that, but that's solid AAA data. And you as a car owner really are thinking that the price of this trip is really just the price of gas, right? So you think to yourself, I'd like some ice cream. And so you jump in the car and you go drive and get some ice cream. What we find when you don't own your car and when you're going to have to pay for it by the hour - that's $8 to $12 an hour depending on what kind of cars you're driving and where it is - then suddenly you're thinking, wow, $8 an hour. I'm not going to buy my ice cream that way. I'm going to, you know, stay home and eat these old cookies. And on my way home from work tomorrow I'll buy some ice cream on the way home. When you own a car and it's parked out front, you never make that decision. You get in the car every time. CHASE: Each Zipcar replaces 15 personal car, and each driver drives about 80 percent less because they're not paying the full cost all at once in real time. Now, a decade later, it's really time to push the envelope a little bit. And so a couple years ago, I moved to Paris with my husband and youngest child. And we launced Buzzcar. CHASE: Buzzcar let's people rent out their own cars to their friends and neighbors. With Buzzcar, you independently can say I want to share a car, and I want it right in this neighborhood. And so you can share your own car with other people or you can go ask your neighbors who got a car and say hey, if you put it in this network, it's completely insured and the transaction effort has been minimized. So we as individuals can, in our own power with our own agency and our own decisions, make car sharing happen. RAZ: OK, but Buzzcar's only in France, right? So, I mean, so when you started it, were people saying, yeah, sure. You know, French people might share their cars, you know, with total strangers, but Americans will not do it. I mean, cars are like our individuality, right? I mean, they're our identity, like our freedom. CHASE: They did all tell me that. Then when I went to France, they would say to me, oh, but, Robin, you don't understand. We French people, we have a special relationship with our car. We - you know, our egos are bound up in it. And I would look at them like - and I'd roll my eyes and say I've heard that one. And can you honestly tell me that you think that Europeans have a more special relationship than Americans with their cars? CHASE: We launched. It was an exciting moment. And all the owners are adding their cars. It's really exciting. All the drivers are becoming members. It's excellent. A driver was telling me that they went to rent a car to go off the coast of France, and the owner gave it to them and said, you know what? Here's where the cliffs are and here's all the beaches. And this is my best beach, and this is where the best fish restaurant is. Peers and owners create relationships. And so on the last minute, people can - a driver can say, hey, you know what? I really need the car. Is it available. And the person will say, sure. My wife's at home. Go pick up the keys. Go do it. And it's a kind of wow - and I want to say wow-type of thing that's happening here. You have tens and hundreds and thousands of people who are creating experiments on this model. And so out of all of that influence and that effort, you are having this exceptional amount of innovation that is coming out. RAZ: You know, another thing I've noticed lately is a lot of people, like, are sharing - actually sharing rides, not just the car. RAZ: Right? Like, you go online, and you find out if somebody's going to the same place you're going to. And then you sign up and then you're off. CHASE: Exactly. And putting humans and community into the mix makes it more humane, more fun. I really - I do think that. CHASE: And so when I think about the future, people will be thinking that sharing the ride with someone is this incredibly great social event out of their day. You know, how did you get to TED? You went with other TED-sters. How fabulous? Why would you ever want to go by yourself in your own car. How did you go food shopping? Well, you went with your neighbor. What a great social time. You know, it's going to really transform how we feel about travel. And it will also, I think, enhance our freedom and mobility - you know, where can I go today and who can I do it with? Those are the types of things that you will look at and feel. RAZ: All right. But I have to say, I mean, I'm listening to that and I'm thinking I need my personal space. RAZ: And I'm like, oh, my God, I'm going to go shopping together with my neighbor every day? CHASE: When you do the shared cars, there's almost always an etiquette going on. There's a company in France called BlaBlaCar. And they are now the largest ride-sharing company in the world. And the driver gets to indicate I'm bla, I'm bla bla, or I'm bla bla bla, so that if you wanted to be in the car where no one is talking, you would say I'm bla. Or if you are the person who doesn't stop talking, like my mom, you might be bla bla bla. RAZ: You can imagine, like, the awkwardness, though, if you go into a car and the dude's like, yeah, I'm bla. And then it's just silence for, like, four hours. CHASE: But it's not awkward. It's not awkward. RAZ: It would be weird. It's awkward. CHASE: It's just like getting on a bus. You get on the bus. You don't talk. RAZ: I mean, some people, like, hear this and say, I mean, this sounds great, Robin. But, I mean, some of this just doesn't seem realistic and maybe even a little utopian. And, you know, people like their cars, and this is just going to be a tiny little kind of niche thing. RAZ: Robin Chase, founder of Buzzcar and Zipcar. Check out her entire talk at ted.com. More ideas on transport for a crowded planet. Our show today, "Getting There." I'm Guy Raz. 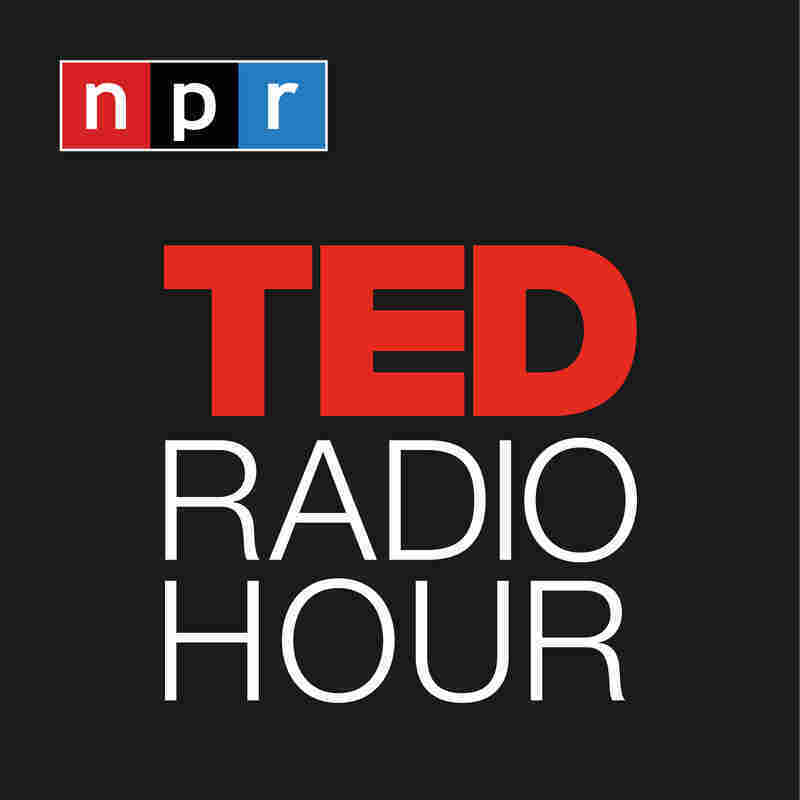 And this is the TED Radio Hour from NPR.